I’m starting my blog with a post about the first computer that impressed me. It was a ZX Spectrum with 48k of RAM. I think a lot of people remember with a sigh those old days. 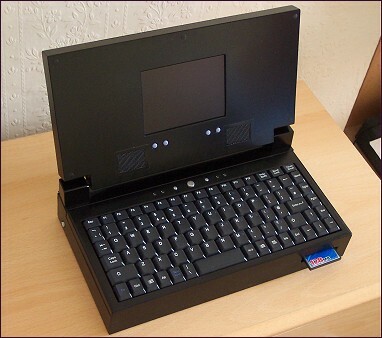 I was thinking to start my own blog some time ago, but an unusual “thing” that I read about today was the trigger to write down the first post.The unusual “thing” was a ZX Spectrum Laptop! Although I know that ZX persists in our memories, I couldn’t imagine that someone is so crazy about it and assembled a laptop! Q. Why make something so pitifully underpowered? A. For the fun of it. It’s a hobby project. Q. What are you going to do with it now? A. Code stuff and generally tinker about. Uncommon human hobbies always make me say “wow!”, and this one reminded me the old days when I was sitting in front of a black and white TV connected to my ZX Spectrum all day long. For the first time I saw the ZX at one of my friends. He invited me and we played Exolon (Enjoy watching the game at YouTube: Exolon Video). After that I returned home very excited … I told my parents I WANT a computer … and I had to wait for more than half an year for my ZX Spectrum. It’s better late than never. For me ZX was not only an entertainment toy, I’ve learned the BASIC programming language and wrote some software packages 🙂 A graphic editor (drawing shapes, filling with color) and a text editor with page scrolling and save/load features. This programming experience was very helpful afterwards when I’ve switched to Turbo Pascal in lyceum. But the time is flying away, below is the google trends graph for “zx spectrum”. Nevertheless, ZX will always reside in our memories as a step forward computer literacy. Google Trends for "ZX Spectrum"
A lot of info can be found at World of Spectrum – The official world archive for the Sinclair ZX Spectrum. This entry was posted in Hardware on January 15, 2009 by admin. The Speccy was a fine machine indeed, which we devote a lot of time to. Liked your piece about Exolon – a classic game that is still pretty good by todays standards.